Does COMP Cams 833-16 fit your vehicle? 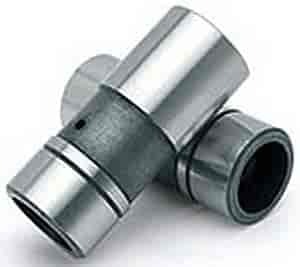 833-16 - Comp Cams Solid/Mechanical Lifters is rated 1.0 out of 5 by 1. Rated 1 out of 5 by Kfowler01 from Terrible product. Installed this cam even though my machinist said the quality of comp cams are sub par. Boy did I pay for that. This cam went flat during the first race and put shavings in my oil, thus grinding some nice rings in my main bearings and crankshaft. Stick with lunati, howards or other cam providers.